This study investigates the available documentation on the teaching methods and teaching content used in secondary general music classrooms in Cyprus, and explores the historical memories and opinions of the Music Inspectors who have held this position since the formalisation of music education in Cyprus. While numerous methodologies have been developed for the general music classroom, this study examines only those related to the “parameters of musical experience”. Nowadays, secondary school music teachers are divided into two groups. A minority of them are under the influence of traditionalism, whereas the majority combine teaching methods and content based on both traditionalism and progressivism, since we do not have a completely autonomous “student-centred” model. 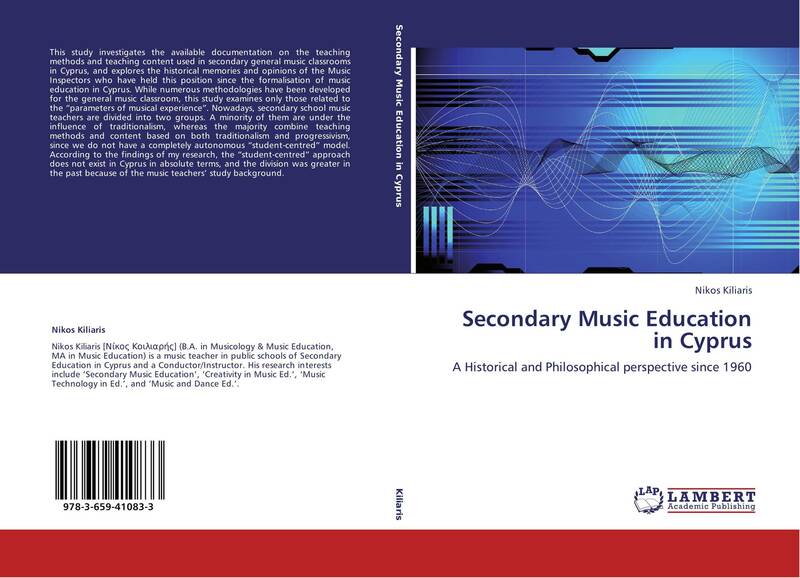 According to the findings of my research, the “student-centred” approach does not exist in Cyprus in absolute terms, and the division was greater in the past because of the music teachers’ study background.